I'm afraid of red lipsticks and yet I managed to do a whole post on them, happy Valentine's Day! You know, for someone who is afraid of strong lip colours and even more afraid of red lips, I have quite a few of them in my collection. Someday I will wear them confidently, I know it! I think my main issue is that I'm always smushing my lips together, biting them and generally messing with them all day and if I did this while wearing red lippie, I'd end up looking like The Joker in Batman. Not a good look. Of course today is Valentine's Day and if you're planning on doing a lot of smooching, don't wear red lipstick! You will look like a crazy person after all the snogging and so will your other half. Don't say I didn't warn ya! I picked out my favourite red lipsticks that I will wear some day and if you're feeling brave, go forth and slick on some red lips this Valentine's Day! 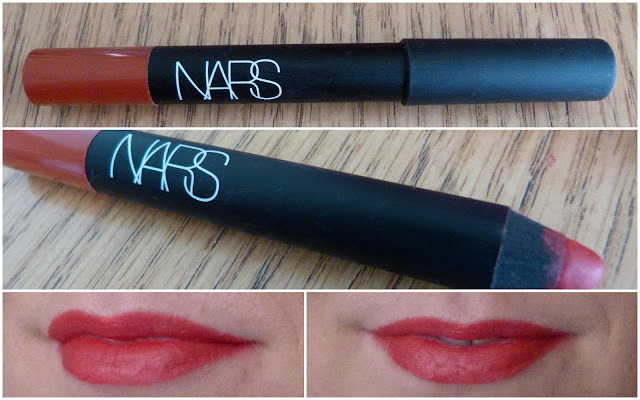 First up is Nars Pop Life Velvet Matte Lip Pencil that retails at €25. This lip pencil gives a subtle red payoff, if there's such a thing as subtle and red. It's really more of a coral red with really fine gold shimmer in it. It goes on smoothly and I like that you can just apply it from the pencil, no lip brush needed. A handy thing to have in one's handbag. 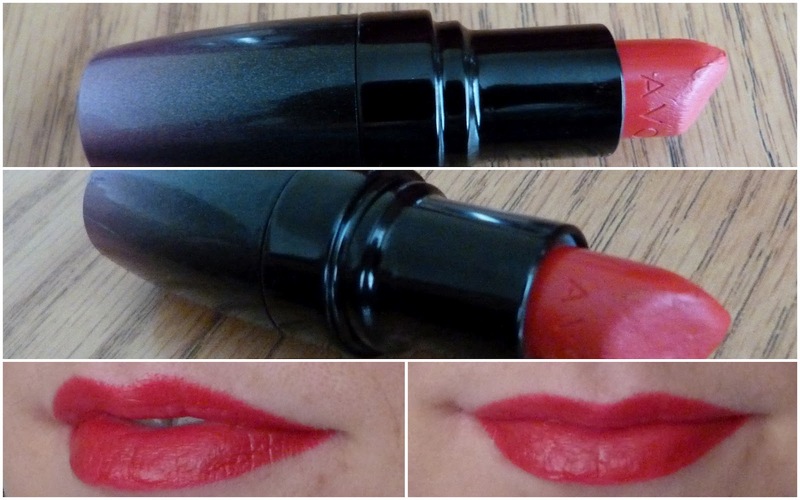 Second on our list is Avon Colourdisiac lipstick in the shade Red Hot Lips. This is €12.75 and is available from your local Avon representative. This blue toned red lipstick moisturises your lips while packing a punch in the colour department. 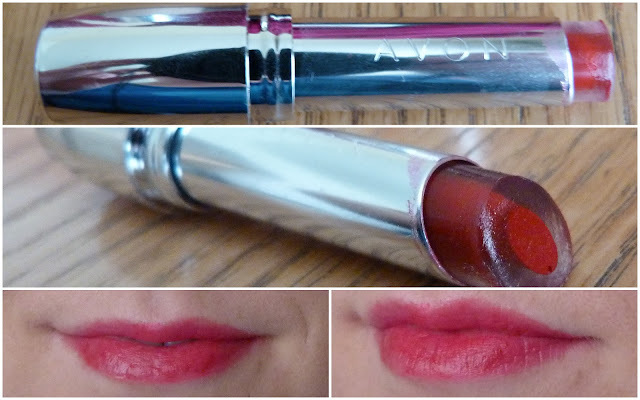 Avon's new Shine Attract Lipstick in Passionate Red is up next. This gives a subtle wash of colour while moisturising your lips at the same time. They come in at €11 and are available from your local Avon representative. What I like about this red is that you don't have to be as careful applying it as it's more sheer than the other lippies here. 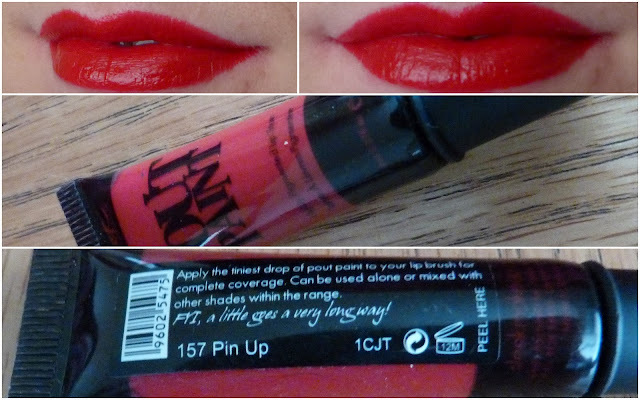 If you're afraid of strong colours like moi, this is a great way to dip your toe into the colourdy lipstick pool. 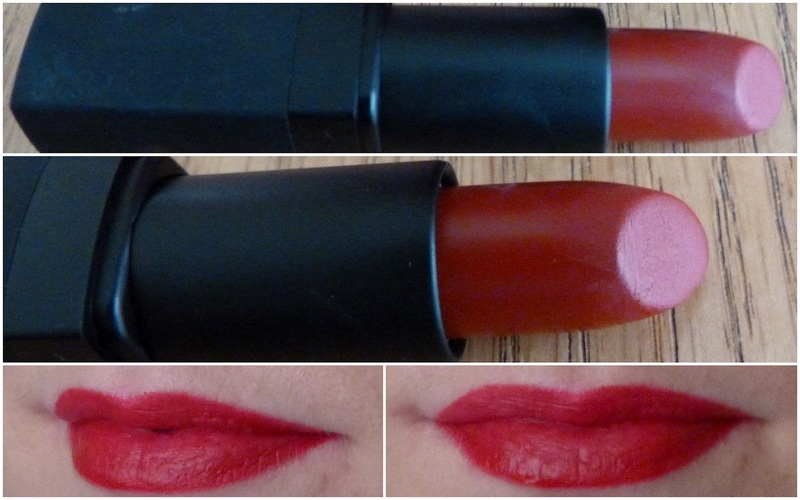 We're back to Nars again, but this time I'm wearing Red Lizard which is a semi-matte lipstick and retails for €25. Red Lizard is a pigmented blue toned red lipstick that gives a beautiful finish. I'm used to lipsticks that feel more moisturising on the lips and when I hear the word "matte" when talking about lipsticks, I expect it to be drying, but it's not at all. A gorgeously lush lipstick! So ladies, what's your favourite red lipstick? * Affiliate link. Read about affiliate links here. This was super fun to read! :D I love red lipstick (although I only wear it once in a blue moon). Out of the ones you swatched I would have to say that I like Sleek's Pout Paint, as it is so rich and moisturized looking. My personal favourite is Maybelline Color Sensational in Red Revival. Pout paint looks the best! I love wearing my Clinique's chubby stick in the shade chunky cherry! Pin Up... swooooooon. I have at least a dozen red lippies. I love love love red lippie. I don't wear it as often as I should, but I always feel glam when I do! Great post!! Timely, I too am scared of red but only yesterday bought Chanel Gabrielle, lovely Chanel lady showed me how to lip line and put it on properly...love it!! where did u get the sleek pout paint? Waaa that Pout Paint is amazing on!! !